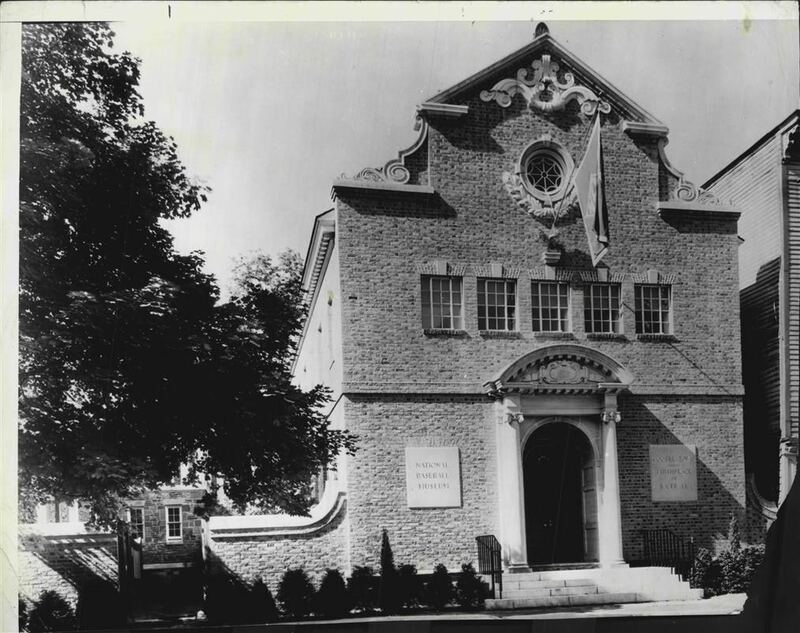 Since its opening in the 1930s, the Baseball Hall of Fame has suffered its share of losses due to theft and vandalism. The National Baseball Hall of Fame and Museum and the National Baseball Library in Cooperstown, New York, house the world’s most comprehensive collections of artifacts, documents and photographs related to our “National Pastime.” There are over 2 million items that have been generously donated to the institution since it first opened its doors in the 1930s thanks to the brainstorm of a Manhattan social-worker named Alexander Cleland. Incredibly, all of the objects and documents in its collection are donations from the general public and men and women connected with the game in some way, shape or form. The Hall does not purchase items for its collections and it does not sell or liquidate items previously donated for any other purposes. Thanks to the the generosity of American baseball fans, the Hall of Fame now boasts of a collection that could very well be valued at a billion dollars, and is nothing short of spectacular. Spectacular as it is, the collection at the Hall and its library have been easy prey for thieves over the past few decades who have somehow made their way in and out of Baseball’s Mecca with smuggled baseball treasures worth hundreds of thousands of dollars. Some artifacts have been boldly removed from display cases during regular museum hours with the aid of a screwdriver while most others were smuggled out of the National Baseball Library in a brief case or secreted away in between photocopies made at the library. In 1983, it was also discovered that an employee in Commissioner Bowie Kuhn’s office had sold scores of donated World Series programs out of his Long Island garage after they were loaned from the Hall of Fame. The Sporting News broke the story and the New York Post ran a headline: Scandal Hits the Baseball Hall of Fame with reporting by gossip columnist Cindy Adams. 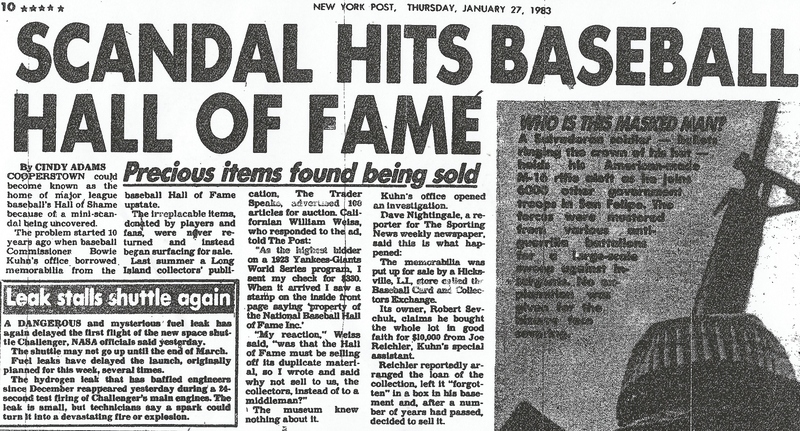 This headline appeared in the New York Post in 1983 after TSN broke the story of the HOF/Joe Reichler scandal. Walter Johnson's collection of first pitch baseballs signed by US Presidents were stolen from the HOF in the 1970s and were recovered by the FBI in 2001. 4. Harry Wright 1887 Kalamazoo Bat cabinet card. 5. 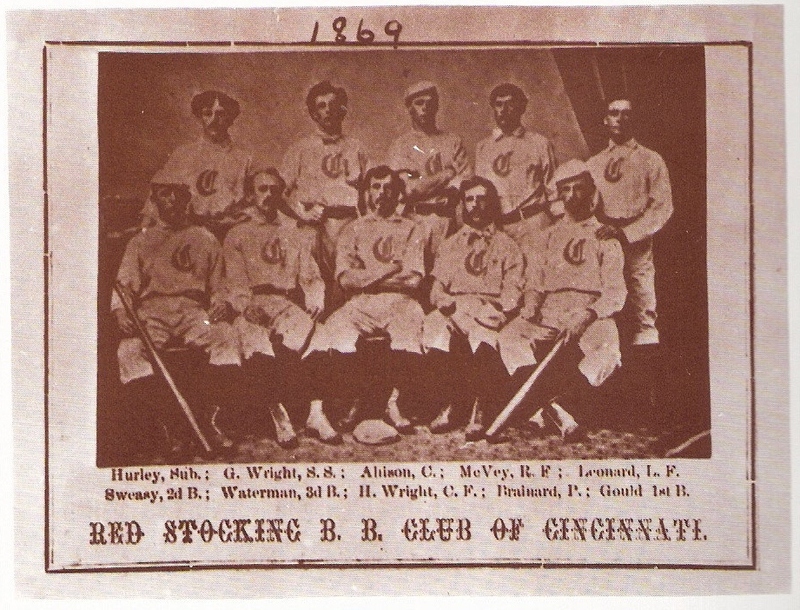 1869 Cincinnati Red Stockings Peck & Snyder trade card. This rare card considered by many the first commercially released baseball card was credited to the HOF in a 1983 book and is currently missing from the HOF. 7. George Davis signed affidavit for protested game in 1905. 8. World Series Press Pin Collection- a thief removed the glass from a Hall display case with a screwdriver and made off with many press pins. 9. 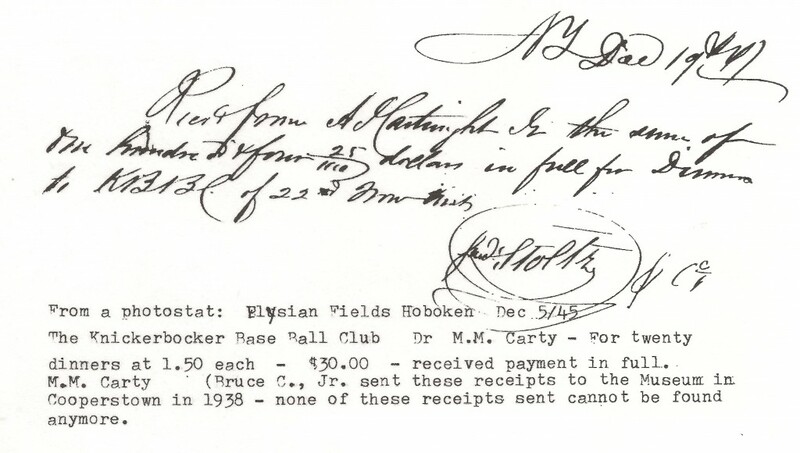 New York Knickerbocker Base Ball Club Dinner Receipt- from 1847 signed by Alexander Cartwright and donated by the Cartwright family in the 1930s. 10. New York Knickerbocker Base Ball Club Dinner Receipt- from 1845, donated by the Cartwright family and was on display in the museum for decades before vanishing. This rare 1847 dinner receipt signed by Alexander Joy Cartwright Jr. was donated to the HOF in the 1930s by his grandson Bruce Cartwright but was stolen from the NBL in the 1980s. 11. Buck Ewing autographed New York Giant salary receipt from 1888. 12. Roger Connor autographed New York Giant salary receipt from 1888. 13. John M. Ward autographed letter to National Commission in 1905. 15. 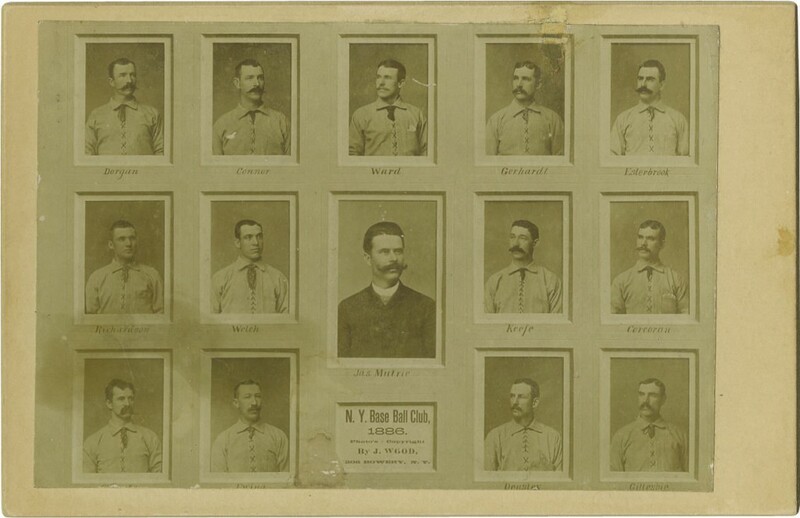 1886 New York Giants cabinet photo by J. Wood. 16. Mickey Welch autographed New York Giants salary receipt. 17. Amos Rusie autographed New York Giants salary receipt. This 19th century pay receipt signed byu New York Giant pitcher and HOFer Mickey Welch was received at the Hall in 1970 and by 1991 was auctioned off in San Francisco. 18. Vic Willis autographed letter to Ford Frick from 1935. 19. Henry Chadwick autographed letter to August Herrmann in 1907. 20. 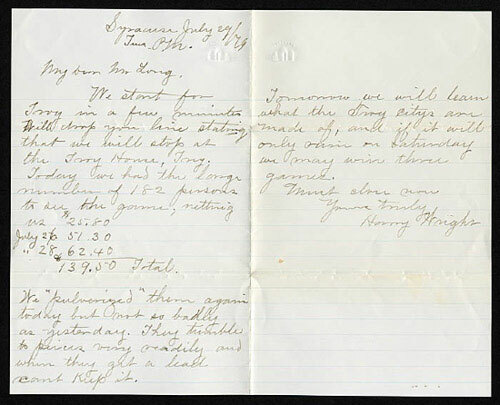 Harry Wright autographed letter to Frederick Long in 1879. Part of the donated papers of the 19th century Boston team executive. #23. 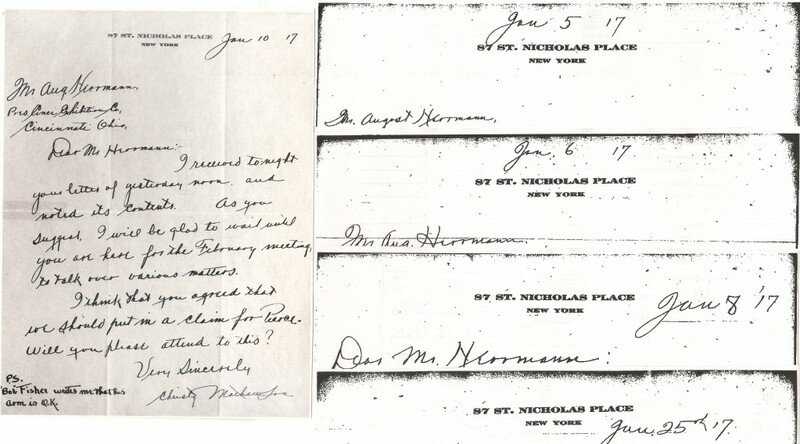 January 1917 Mathewson letter to August Herrmann (left) that was once part of the HOF collection along with other Matty letters to Herrmann also from January of 1917. 24. George Wright autographed letter to Ford Frick in 1936. 25. James O’Rourke 1916 autographed letter to August Herrmann requesting World Series tickets. 26. Jimmy Collins autographed letter to Ford Frick in 1935. 27. Sliding Billy Hamilton autographed letter to Ford Frick. 28. George Wright autographed letter to Ford Frick, 1935. 29. Jake Beckley autographed Cincinnati Reds salary receipt. 30. Christy Mathewson autographed letter related to protested game 1923. 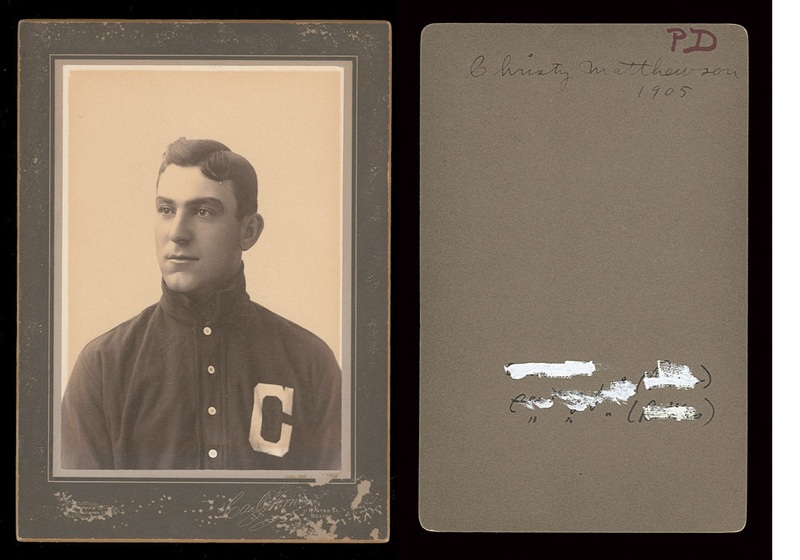 The Nap Lajoie Horner cabinet (left) had a vandalized NBL accession number and a "PD" mark on the reverse just like the Christy Mathewson cabinet reverse pictured to the right. 31. Napoleon Lajoie cabinet photo portrait by Carl Horner. 32. Joe Kelley letter to Ford Frick from 1935. 34. Miller Huggins autographed letter to August Herrmann in 1909. 35. 1894 New York Giants team cabinet photograph. 37. 1917 New York Giant team autographed request for World Series share to the National Commission. 38. John Evers 1908 sworn affidavit related to protested game and play similar to the infamous “Merkle” play. 39. Joe Tinker 1908 affidavit related to same protested game. 40. Joe Tinker 1948 letter to HOF president Paul Kerr. 41. 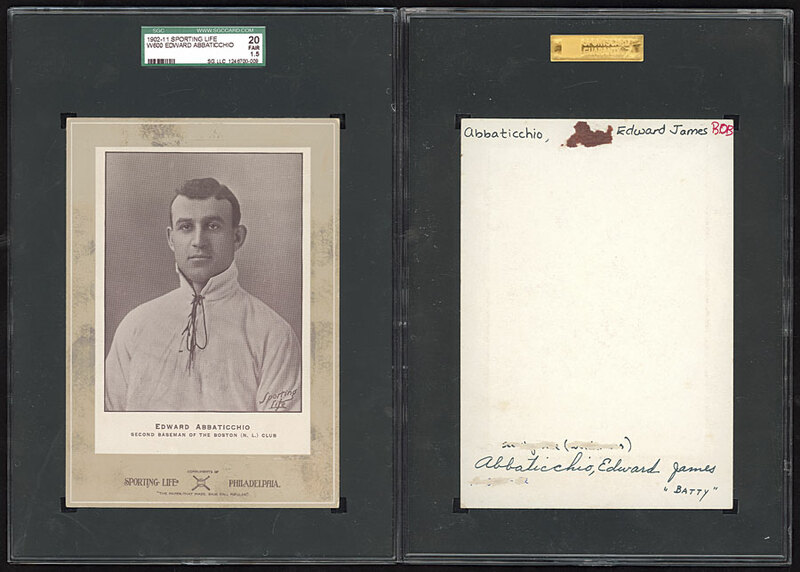 1902 August Herrmann check used to Purchase the Cincinnati Reds for $146,462.34. This check was used by August Herrmann and his partners to purchase the Reds in 1902. The HOFs Herrmann archive's Box 1, Folder 3, includes documents related to the "Sale of Cincinnati" including the agreement that references this very check. 42. Jesse Burkett autographed New York Giant salary receipt 1890. 43. John J. McGraw autographed letter for protested game 1911. 44. Hughie Jennings autographed letter to August Herrmann. 45. Napoleon Lajoie autographed letter to HOF President Stephen C. Clark, 1947. 46. Napoleon Lajoie autographed letter to August Herrmann. 47. Ty Cobb 8-page autographed letter to HOF President Paul Kerr. 48. Fred Clarke autographed letter related to a protested game in 1909. 49. Babe Ruth autographed photograph. 50. Tim Keefe cabinet photo portrait by Jos. Hall. 51. Ty Cobb two page autographed letter to HOF president Paul Kerr in 1953. This letter sold by REA was written by Harry Wright to Frederick Long and appears to have been wrongfully removed from the HOFs Long Papers Collection. 52. John J. McGraw autographed letter related to protested game 1908. 54. Jake Beckley cabinet photo portrait. 55. Miller Huggins autographed Cincinnati Reds salary receipt. 56. John J. McGraw cabinet photo portrait by Horner. 57. Jesse Burkett autographed letter to August Herrmann (secretarial signature). 58. Wahoo Sam Crawford autographed letter to HOF Pres. Paul Kerr. 59. “Home Run ” Baker autographed letter to HOF Pres. Paul Kerr 1961. 60. Napoleon Lajoie autographed letter to Hall of Fame offices in Cooperstown. 61. Joe Tinker autographed letter to HOF historian Ernest Lanigan in 1946. This collage of stolen items includes: Hugh Jennings letter to Herrmann; 1897 Chickering cabinet of Boston BBC and Rooters; 1902 Reds Articles of Inc.; Mickey Welch cabinet by Jos. Hall; Joe Tinker 1908 affidavit; John J. McGraw protest letter; Roger Connor cabinet by Jos. Hall; 1902 JT Brush Promissory Note; Jake Beckley cabinet photo (center). 62. “Kid” Nichols autographed letter to HOF President, Paul Kerr in 1949. 63. 1903 Boston Base Ball Club (NL) Season Pass issued to Frederick Long. 64. Jack Chesbro cabinet photo portrait. 65. John T. Brush autographed promissory note to Cincinnati Reds in 1902. 66. Amos Rusie cabinet photograph by Jos. Hall. 67. Wilbert Robinson autographed letter related to protested game in 1928. 68. 1876 Boston Base Ball Club Season Pass that was part of the Frederick Long Papers Collection at the National Baseball Library. 70. Charles Comiskey autographed letter to August Herrmann 1913. This W600 Sporting Life cabinet of Pirate Ed Abbaticchio was sold at auction but had HOF ownership marks on its reverse. The buyer returned the card to the Hall. 72. Napoleon Lajoie letter to HOF director. 73. 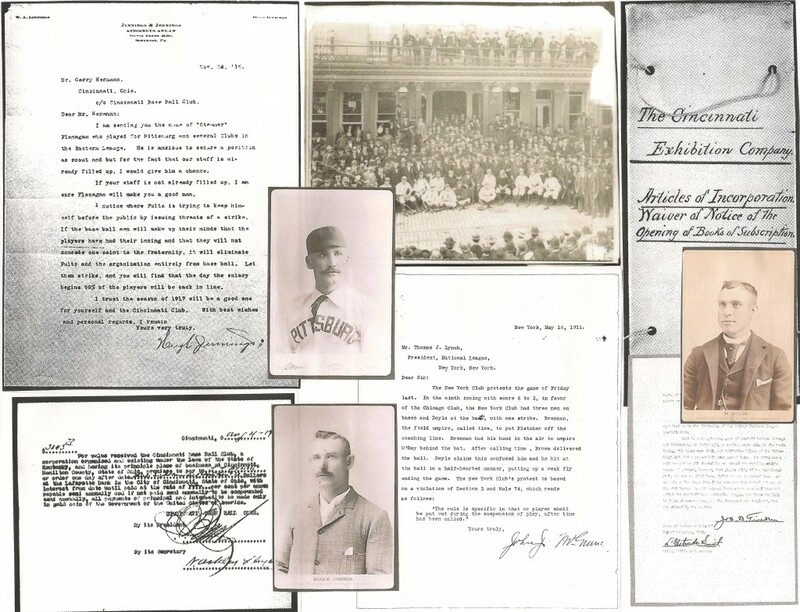 1902 Articles of Incorporation of the Cincinnati Reds from the Herrmann Papers collection. 74. Bill Klem autographed letter related to protested game, 1920. 75. John T. Brush letter to Reds Board of Directors in 1902. 76. Clark Griffith autographed letter to HOF President, Paul Kerr. 77. Bill Klem autographed letter related to protested game 1909. 78. Jack Glasscock autographed New York Giants salary receipt 1888. 79. John J. McGraw autographed letter for protested game 1912. 80. Jesse Burkett autographed letter to Ford Frick from 1935. 81. Jesse Burkett autographed letter to Ford Frick (secretarial). 82. 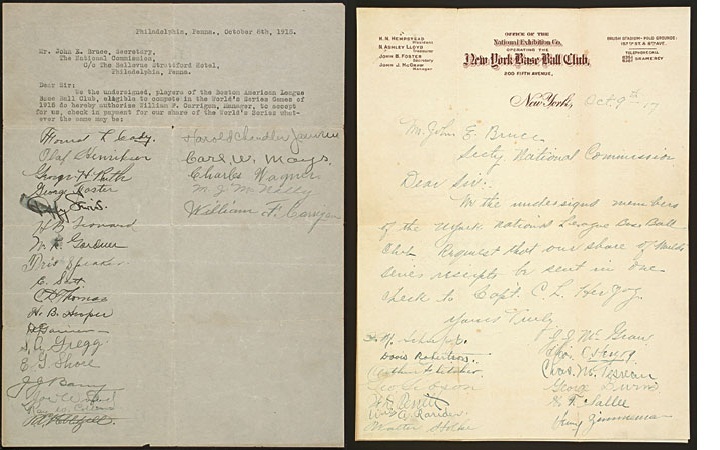 Boston Red Sox team autographed request for World Series money share to National Commission in 1915. These two World Series check requests from the 1915 Red Sox and 1917 Giants for players' shares were sent to August Herrmann's National Commmission and are believed to have originated from the HOFs Herrmann Papers archive which includes similar documents. 83. Kenesaw Mountain Landis autographed letter to Larry McPhail in 1935. 84. Ban Johnson autographed letter to August Herrmann 1914. 85. Ed Barrow autographed letter to August Herrmann from 1914. 86. Ban Johnson autographed letter to August Herrmann in 1912. 87. Ban Johnson autographed letter to August Herrmann in 1905. 88. Kenesaw Mountain Landis autographed letter to August Herrmann from 1926. 89. Joe Tinker autographed letter addressed to August Herrmann. 90. John Heydler autographed letter addressed to August Herrmann. 91. Barney Dreyfus autographed letter for protested game in 1909. 92. Barney Dreyfus autographed letter for protested game in 1924. 93. Sam Breadon autographed letter to August Herrmann. 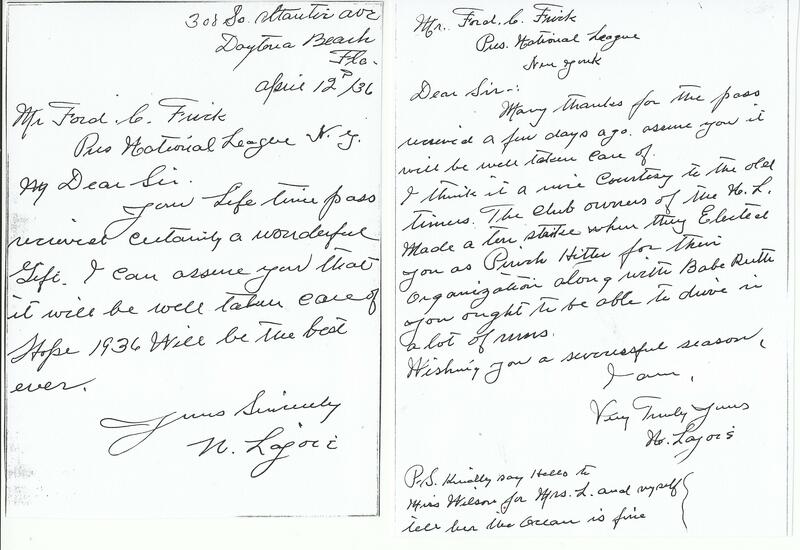 The letter written to Ford Frick by Nap Lajoie (left) is in a prvate collection while the Lajoie letter to Frick on the right is part of the NBLs Frick correspondence file. 94. Emil Fuchs autographed letter to August Herrmann. 95. George Stallings autographed letter for protested game in 1916. 96. John Ganzel autographed letter to August Herrmann from 1912. 97. Fred Tenney autographed letter to Reds manager, Ned Hanlon. 98. Napoleon Lajoie autographed letter to Ford Frick from 1935. 99. Charles Ebbets autographed letter to August Herrmann 1913. 100. Tom Yawkey autographed letter to HOF President Paul Kerr. This rare cabinet photo of Jim Mutrie's 1886 NY Giants was documented as HOF property during a SABR photo shoot at the Hall in 1983. In 2006 it was sold by Heritage Auctions for over $10,000. Somehow I do not find it amazing that these things get stolen. I just find it more amazing that the Hall of Fame does nothing about it by them sending their message to the collecting hobby as to what was stolen for the hobby to be on the lookout for these items to be recovered. This makes me wonder whether the Hall of Fame has a complete inventory of what it possesses and doesn’t know when something is missing or if the items were really stolen at all. Their silence is deafening. That is quite a list and a rotten shame, that the low lifes couldn’t keep their paws off of such great memorabilia,that was on display for all to see from a era way before our time. The way the Hall handled the thefts of the Walter Johnson presidential baseballs tells you all you need to know about how they handle things in Cooperstown. They didn’t even tell the family they were stolen until years after the theft when the family asked to see their donation that’s probably worth a few hundred grand. I’m sure they are not the exception considering this list. Maybe i can put one of my mlb invesstigators on this case. the guy who was sleeping with the ARod wittnesses is available. The rare cabinet photo of Jim Mutrie’s 1886 NY Giants looks like it’s a team photo of one guy with different moustaches and hair pieces. I have made this post before, and I will make it again: in my years as a dealer (1980s and early 1990s) I NEVER saw for sale artifacts such as the ones listed above: 100-year-old letters from Hall of Famers, cabinet photos, etc. Now these items regularly come up for sale. If these items weren’t stolen, where were they hiding 20 or 30 years ago? Makes me wonder what kind of people the Hall of Fame hire to oversee the collection? Perhaps holding the workers as accessories will cut down on the thefts? I’ll never leave anything of value with them. should return the items to the HOF. Unfortunately the chances of this happening is somewhere between slim and none. Even a seemingly perfect little town like Cooperstown, New York has its problems; somehow I see a connection between these stolen items and the sport of baseball, America’s favorite pastime.